"When Silence Speaks: Press Censorship and Rule of Law in British Hong Kong, 1850s–1940s"
Abstract: This article constitutes the first in-depth study of press censorship in British Hong Kong during the first century of colonial rule. 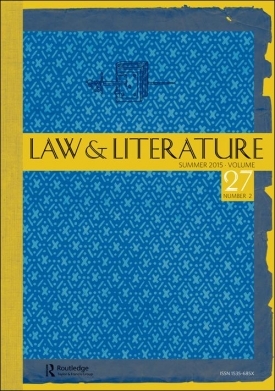 By revealing how the press, the Chinese press in particular, was continuously and systematically monitored and pervasively censored through the collaborative efforts of executive actions, legislative provisions and judicial decisions, this article further posits that the common law system practiced in British Hong Kong during the period under study was complicit in the imposition of an authoritarian form of law and order, and was more interested in preserving the British Empire's overseas territorial and economic possessions and managing the power equation in the region than in safeguarding individual liberties in Hong Kong. Hong Kong is often praised for its rule-of-law colonial legacy, but this article argues that such narrative does not stand up to the scrutiny of archival study. The English law in Hong Kong history, rather than constituting a lens through which one can witness Hong Kong's quest for modernity, is more akin to a mirror reflecting an ongoing cycle of coercion and resistance through law. Drawing on unexplored archival sources, the article first discusses how the colonial government used libel lawsuits to punish the press for criticism of the government in the 19th century, before turning to describing in detail the daily mandatory vetting of Chinese newspapers by colonial censors under the office of the Secretary for Chinese Affairs and related prosecution cases in the early 20th century. The paper concludes with an exploration of the tension between the notion of a free press and the governance fears of the British Empire in the Far East revealed by this history of silencing the press in Hong Kong.